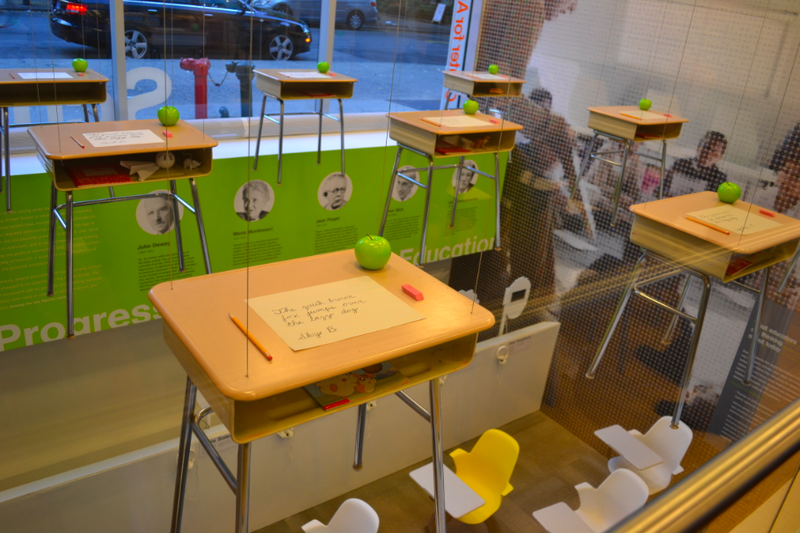 As part of a series focused on the evolution of schools and organizations working to improve education, this post explores the work of the Institute of Play and of Quest to Learn, a public 6-12 school opened by the Institute in collaboration with the NYC Department of Education in 2009. To learn more about how their work has evolved we talked with Arana Shapiro, Director of Programs, Schools, and Partnership at the Institute of Play and an original member of the Quest to Learn design team. The focus on games grew out of a concern with research showing a link between increases in high school drop out rates and declines in engagement as students transition between elementary and middle school. “Our question was,” Shapiro explained, “can we take the principles that make games engaging spaces and turn them into a school space, therefore engaging kids in school in a way they haven’t in the past?” The Institute of Play’s design team then began exploring the elements of games that make them so appealing. The team noted that games present a complex challenge or problem to solve and were focused on a single goal. Then, they saw that feedback to the participant was ongoing and immediate. Also, participants step into an immersive space and take on a role. Learning happens because participants are required to apply what they know to whatever problem they are trying to solve or whatever role they have taken on. According to Shapiro, “Our learning model is presenting students with complex and challenging problems that they don’t know how they’re going to solve, and then developing curriculum that leads students through a series of experiences that help them develop the skills and expertise that help them solve the problems.” Students are expected to move through the curriculum as they would move through a game. The school’s experiences in the 7 years since it opened makes clear both the intense interest in gaming as a form of learning as well as the challenges of focusing an entire school on such a new approach. On the one hand, the school has been the subject of a number of stories and articles and gets frequent requests for visitors. On the other hand, the school has faced a number of challenges that new schools often face. For example, the school is trying to re-imagine learning while occupying the same kinds of classrooms that have been around for years. In Quest to Learn’s case, flexibility is further limited by the fact that the school occupies one floor of a public school with six other schools operating in it as well. Furthermore, despite the interest in games, students, parents, and educators all have different ideas about what the games should be and how they should be used for learning. For example, one misconception has been that the school would be high-tech and focus on video games. In fact, the school doesn’t use technology any more than a normal school would. In short, in order to be successful, all stakeholders need to be engaged and that requires an emphasis on helping all members come to a common understanding of what the school is trying to do. Teacher education has presented another challenge, as most schools of education are not focused on the Institute’s vision of progressive education. In many ways, the Institute’s philosophy is more consistent with play-based models for early education, but it is less familiar for many teachers at the middle and high school levels. As a consequence, the team at the Institute of Play found that teachers often needed to be introduced to an entirely different model for education and considerable focus on professional development was required. At the same time, the experiences of the Institute and the school have contributed to a robust professional development program. The school’s unique approach to learning has attracted the interest of teachers and leaders who want to know more about how to bring this approach to learning to their own schools. As a result, the Institute has developed a professional development program that stands alone from the school. That program includes 3-day workshops for teachers and an online community to help keep participants connected. These workshops are now in schools on Long Island, Westchester, Pittsburgh, Los Angeles, Chicago, North Carolina, and Michigan. In short, rather than trying to scale a gaming approach to learning by developing a network of Quest to Learn Schools, the team has found that working directly with teachers may provide a better avenue for expanding their approach. We had a fascinating visit recently to the Koulumestari School in Espoo (a small city just outside of Helsinki), a school of almost 350 students from first through 6th grade (ages 5-12). The school is designed specifically to support students with special needs (20% of the students have that designation) and also focuses on the integration of new technology into learning. The visit gave us a better understanding of several aspects of the Finnish education system, particularly around professional development and the sharing of knowledge among teachers. While there is considerable emphasis on teacher education in many of the reports on the Finnish education system, professional development for teachers often gets less attention. In part, that lack of attention may stem from the fact that, reflecting the autonomy that Finnish teachers have, decisions about what kind of professional development to pursue are generally left up to teachers to decide. Many choose to participate in courses or workshops offered by Universities, the National Board of Education, or perhaps their municipality. Furthermore, for the most part teachers in Finland develop their own class and work schedules, and when they finish teaching their classes they can go home for the day (more on teacher autonomy and scheduling in a later post). While there may be a mandatory meeting of a whole-school faculty once a month, in many schools, teachers can also decide when and to what extent to meet with their colleagues in grade level teams or for other purposes. In other words, from a US point of view (and the perspective of many other countries), collective and collaborative professional development seems to be relatively limited. While these networking efforts illustrate one approach to professional development in Finland, it is also important to point out that these efforts share many features with networking initiatives in other countries but they run against the grain in some ways of the same professional autonomy that is often cited as a key strength of the Finnish system. While teachers can choose to work together and share ideas, they also can choose to work on their own. There is a fundamental tension between autonomy and the kind of interdependence and collaboration that many would argue is needed to enable workers and organizations of any kind, including teachers and schools, to be more effective. 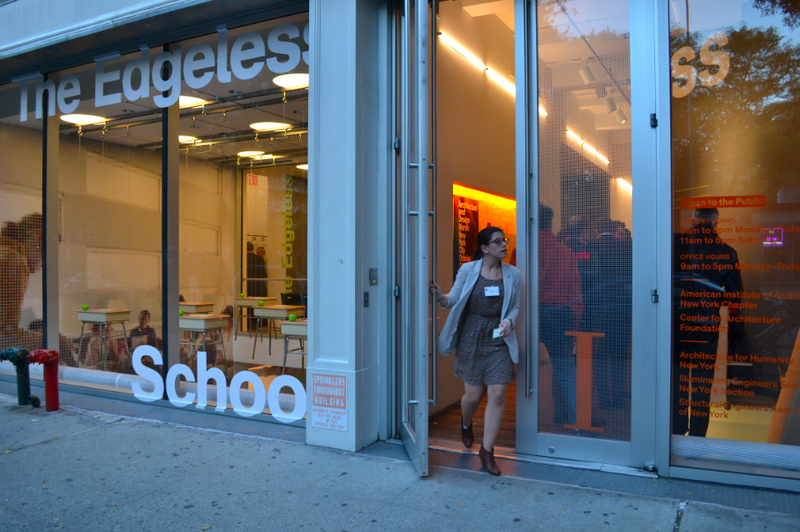 The New York chapter of the American Institute of Architects, welcomed a group of architects and educators to “Nurturing Minds: Educational Design Policies,” a panel discussion juxtaposing learning environments in Finland and the United States. Moderated by Samuel E. Abrams, presenters included Pasi Sahlberg, Kaisa Nuikkinen, Bruce Barrett. Nuikkinen (Head Architect for School Design, Helsinki City Education Department) began by noting that the framework for building a school in Finland takes into account the expectations of the community, the needs of the workplace, guidelines, rules, and regulations, benchmarking, pedagogical concerns, national policies, laws, and norms, as well as best practices. Finland’s aim is to develop school buildings that function effectively, answer the demands of the future, and combine high quality architecture with economic viability. Therefore, design must be multifunctional, flexible, interactive, and inclusive of those with special needs. Outstanding examples of designs that meet these goals include The Soininen School (Ilmari Lahdelma, architect), and The Latokartano Comprehensive School (Tuomas Silvennoinen, architect). In contrast, Bruce Barrett (New York City School Construction Authority) began by noting that the New York City School System serves 1.1 million students and employs 77,000 teachers. The city is currently planning for a student population that is expected to increase by 31,500 new seats between the fiscal years 2010-2014, which is a real challenge in an area as dense as the city. Stakeholders need to work together to produce school spaces that meet individual needs of schools. Barrett highlighted the city’s most recent projects, which have included renovations of larger schools that have been converted to house several smaller schools under the same roof (such as Mott Haven Campus in the Bronx, and Metropolitan Avenue Campus in Queens), rehabilitations of older buildings (such as P.S 3 in Queens), and renovations that require additions (such as Midwood High School, in Queens, which had to take over the playground space of a middle school across the street in order to create new building space).